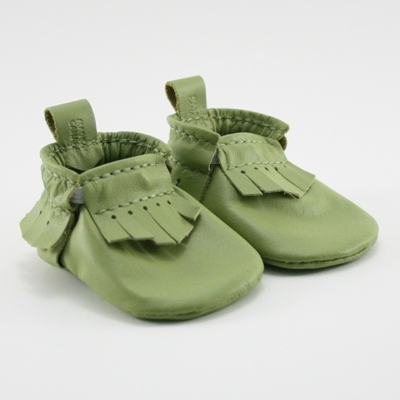 These are a little smaller than our regular Mally Mocs baby moccasins and they typically fit newborn to 3-5 months. 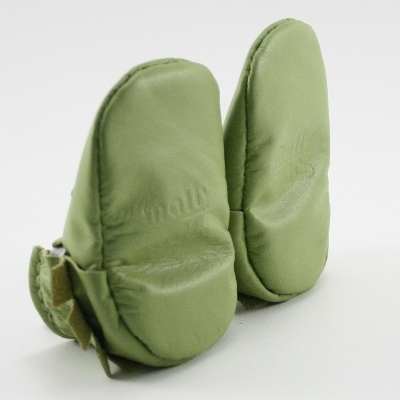 Besides being smaller, there is two main differences between this newborn version of Mally Mocs and our regular Mally Mocs: 1 - the sole is a finished leather instead of a suede, because at that age we don't need to worry about it being non-slip, and 2 - the price is $5 less per pair! 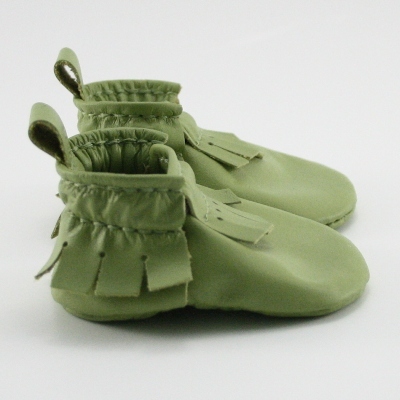 Our hope is that new parents will find these newborn moccasins special enough to want to take baby home from the hospital in, and keep as a keepsake forever to remember their first few days, weeks and months. 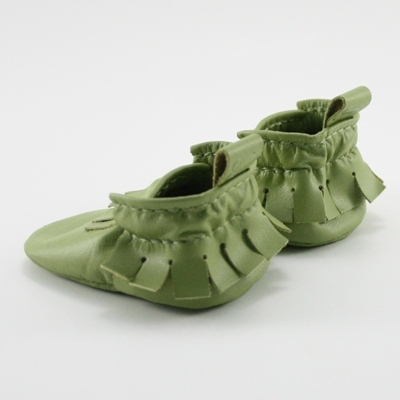 They also make a great gift as baby's first pair of shoes. 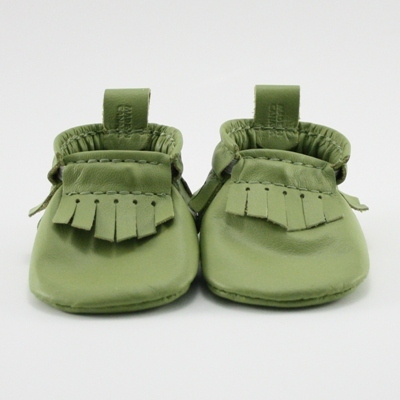 Newborn Mally Mocs are also the perfect item to incorporate into your special occasions such as your pregnancy announcement, gender reveal party, baby shower, baby homecoming, birth announcement, and newborn photos to name a few! 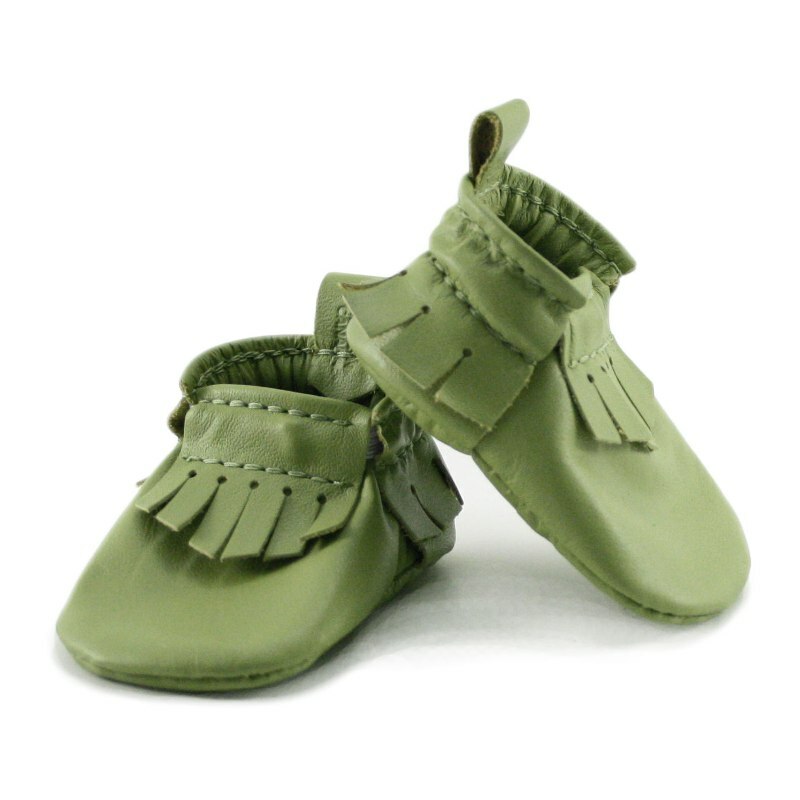 I'm excited to present Kenzie in her adorable moccasins. She has been wearing them lots because they stay on, unlike baby socks, and they are so cute! We get compliments on them every time.